Raised in Pittsburgh, Robert J. “Bob” McCann graduated from Bethany College with a B.A. in Economics and earned his MBA from Texas Christian University. In 1982, he began his 26-year tenure at Merrill Lynch, working at first on the trade floor before slowly moving up through management, eventually serving as Vice Chairman of Merrill Lynch & Co., Inc. and President of Global Wealth Management. 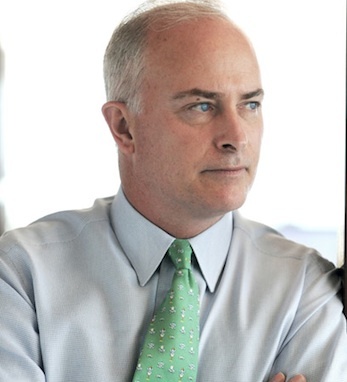 In October 2009, McCann was appointed CEO of UBS Wealth Management Americas. In his role as CEO, he believes that the role of a leader in the new economy is to create a vision for your organization and make that vision a reality, as well as believing that it is important to give back. Reared in a family that didn’t talk much about its Irish ancestry, McCann started to get interested in his heritage after moving to New York to work for Merrill Lynch and hearing about the Irish-American community there. However, he did not get actively involved in the community until 1997 or 1998. Friend and client Kip Condron asked him to buy a table at The American Ireland Fund dinner in New York. Through that one action, he began developing friendships within the Irish-American community, with people such as Loretta Brennan Glucksman and Dan Rooney. McCann has been involved with The American Ireland Fund since 1998 and currently sits on its Board of Directors. Through his involvement with the American Ireland Fund, his focus has been on education and intercultural communication, where he helped raise funds to build a grade school in Northern Ireland dedicated to integrated education. In 2010, McCann served as the Keynote Speaker at Irish America’s Annual Wall Street 50 Dinner.